Rotary Club of Fort Myers South is pleased to announce that former NFL player Earnest Graham will be the featured guest speaker at the 25th Annual John Carrigan Rotary South All-Star Classic Banquet. Graham will share his journey from high school all-star to NFL career. The banquet takes place on Monday, December 9 at 6 p.m. at the Harborside Convention Center in Fort Myers and is open to the public. More than 400 all-star high school football players, cheerleaders, community leaders, business professionals and residents attend this annual celebrity athlete banquet each year. Tickets are only $75 and can be purchased online at www.rotarysouthallstarclassic.org. Earnest Graham is a Mariner High School graduate and an alumni of the game, having played in the All-Star Classic in 1997. He then went on to play for the University of Florida under coaches Steve Spurrier and Ron Zook. Graham later joined the Tampa Bay Buccaneers in 2003 and played with the team until he experienced a career-ending injury in 2011. 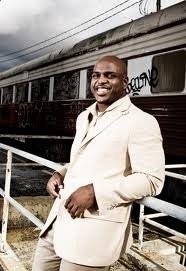 “We are very excited to have Earnest Graham as our guest speaker for the banquet this year. His experience in the Rotary South All-Star Classic and his professional success will be an inspiration to the next generation of all-stars,” says Rebecca Goff, President Elect of Rotary Club of Fort Myers South. For more information, or to purchase tickets visit www.rotarysouthallstarclassic.org.